Lilies are the fourth most popular flower in the world, and it’s quite easy to see why. The lily flower is one of the most beautiful, versatile, and fragrant blooms, and serves as a symbol of love, truth, good fortune, rebirth, and motherhood. The humble yet vibrant lily is revered in cultures around the globe. In China, lilies are one of the most popular flowers for weddings and are thought to bring about 100 years of love in a marriage. Even the ancient Egyptians recognized the lily’s power, and associated it closely with Ishtar, the goddess of fertility. In Western culture, perhaps as a testament to the beauty and luck tied to these precious blooms, “Lily” is the most prevalent of all flower names for girls. The lily flower is one of the most popular blooms for weddings, particularly as a part of a beautiful boutonniere, corsage, or in a bouquet for the bride or bridesmaids. Large and magnificent, the lily is also perfect for centerpieces. In addition to weddings, the bold and highly fragrant lily is commonly given as a gift or as sympathy flowers, most likely because of their unique ability to instantly brighten any room that they are in. Interested in incorporating the lily flower into your next event, or want to learn more about purchasing lilies as a gift? Our online florist team can work with you to select the ideal type and color of lily to convey the mood and the meaning that you’re looking for. You may be surprised to learn that while usually quite similar in appearance, not all flowers designated as lilies are actually “true lilies.” That designation belongs to flowers of the genus Lilium, which includes Asiatic lilies and Oriental lilies. At Flower Explosion, we offer these varieties of “true lilies,” as well as others outside the genus, including the day lily, water lily, and calla lily. It’s easy to order a beautiful lily arrangement in our online store. We believe that a flower—no matter how beautiful and coveted—doesn’t have to be expensive. To that end, we offer great deals and free shipping for lilies for all 50 states. We work with over two dozen farm partners worldwide to make sure that you get the freshest blooms possible. Simply place your order and we’ll have lilies hand-cut and delivered to you within three to four days. 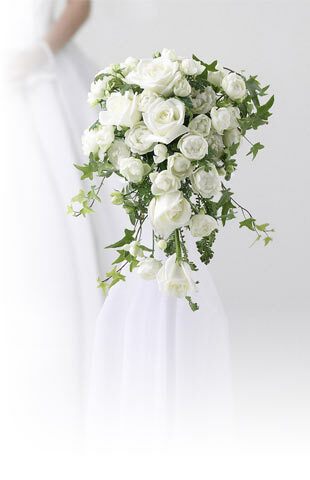 In addition to home deliveries, we offer wholesale flowers online for event planners and professional florists. For brides, we offer expertly crafted lily flower arrangements at a mere fraction of the price of what you would traditionally spend. The goal is to make fresh and beautiful flowers accessible, easily and in anyone’s budget. 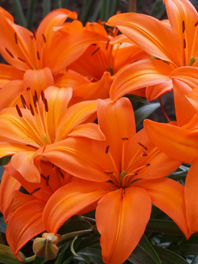 Our online store makes it easy to purchase gorgeous lilies in a variety and colors. Choose your favorites and we’ll get to work delivering fresh, stunning lilies right to your door. A special note to cat lovers! According to the ASPCA, lilies are considered to be highly toxic to cats. While the poisonous component has not yet been identified, it is clear that with even ingestions of very small amounts of the plant, severe kidney damage could result. Don’t hesitate to buy any one of our cheap lilies varieties but be sure to keep your feline friends safe.